3D Design Bureau | Is Apple EC Ruling Vindication For Brexit? 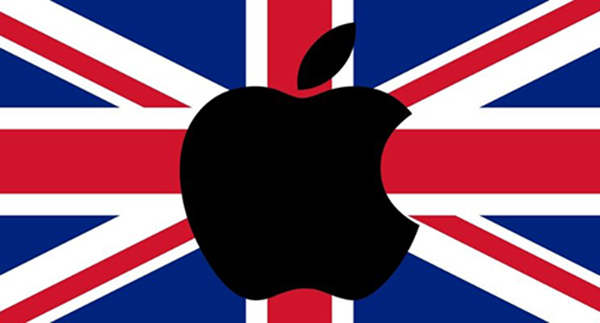 Two massive words that have had, and are still causing, unknown impact for many businesses, brands and economies around Europe, particularly in the UK and Ireland, are Apple and Brexit! A couple of months on from the shock of the Brexit result we are all still wanting for answers as to what will actually happen. There are some cracks starting to appear despite the positive spin been spun and all the while the UK are trying to steady the ship. However there is no doubt that the decision for the UK to leave the EU will have an impact on Ireland and other countries in the EU. Then, only a couple of weeks ago came the news that the European Commission ruled that Apple have to pay Ireland a tax bill to the tune of Billions, €13bn to be exact!! Fantastic for the Irish coffers but not so great for the longer game. This ruling could have an untold effect on Ireland and the wider EU if the decision is upheld in the European Court. But should this Apple ruling give us all a brand new perspective on Brexit, especially the ones who shouted ‘madness’ when it happened (myself included). Looking back, or even more importantly, looking forward, was it the right decision for the UK to leave the EU and is Apple guilty of tax evasion as some have reported? Opinions are very much divided on both fronts. Ireland are firmly standing by one of their biggest assets and are appealing the European decision whilst at the same time trying to spin the Brexit result into a negligible impact scenario for the country . Other countries have waded in on the Apple ruling and said ‘about time’ and are they only too happy to see the tech giant being brought to task over their channeling of profits etc. Others however, such as our very own ‘shoot from the hip’ Michael O’Leary of Ryanair has made his opinion very clear which is (without reading between the lines ) that this ruling has an underhand feel to it “One of the fundamental principles of the European Union is that each country has autonomy to make its own tax decisions.” Is this a clever step by the EU to control, sorry harmonize! taxation across the Union? Now I don’t pretend to be an economist or anything like it but it is in my interest and indeed the interest of Ireland Inc to keep a close on on how things are panning out. Only this morning the ERSI have reported that Brexit is already being felt in a number of sectors in Ireland and Northern Ireland. We have very strong FDI here in this country and like it or not its business at the end of the day. It has helped our economy recover from a grueling recession and by all accounts, everything is above board. Other EU countries have been aggressively targeting UK based companies to attract them to their shores since Brexit, so surely we should continue to protect our own interest right? However if the Apple ruling is upheld in the EC and this has a domino effect on taxation across the EU then I am pretty sure the only words coming from the UK will be ‘We told you so’. Only time will tell, but it won’t be long before we find out. If you enjoyed reading this post you can read more from Nicholas. MD of 3D Design Bureau and Creator of Virtual Shopfronts. Would Social Platforms Punish Hard Work & Results?